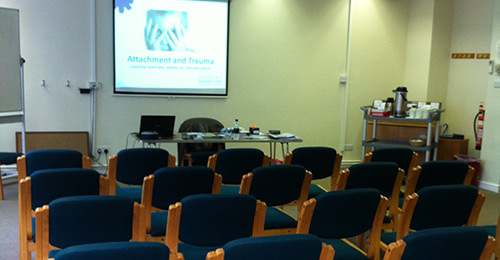 We create and deliver training packages for both individuals and organisations covering a range of subjects related to attachment, fostering, adoption and at-risk children. The aim of all our training is to provide attendees with a greater understanding of the relevant issues with a strong emphasis on providing practical strategies which they can employ in their daily lives. Often, children who have experienced early trauma do not relate to the world in a typical way. Our attachment training explains why this may be the case and how those who live or work with these children can better understand and support their needs. We base our training on a mix of theory and real-life experience and work hard to ensure that each event is interesting and useful to the target audience. Each of our training packages has been developed to be relevant to a particular target audience. Please use the links on this page to browse the courses available and find those most relevant to you. As we grow and develop we are continuously developing our range of services, but in the meantime if the packages advertised here are not quite what you are looking for please contact us to discuss your requirements and see if we can help.